Living a Lowder Life: Happy Halloweiner! 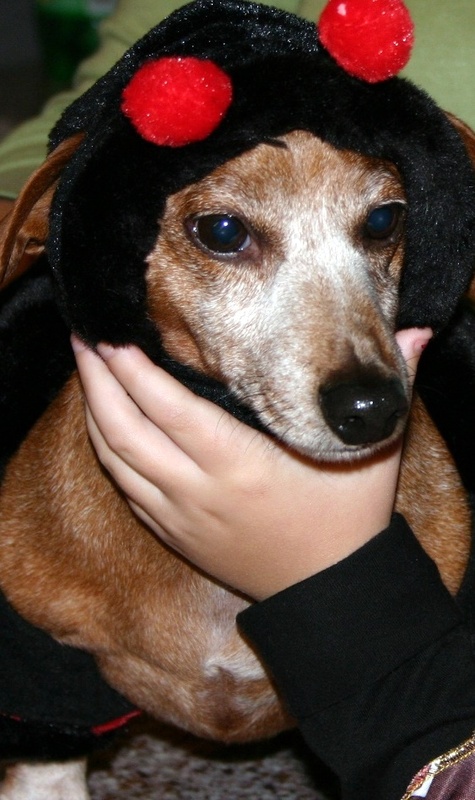 Because your life wouldn't be complete without it, here are some pics of Lowder-dog in his Halloween costume from a few years ago. 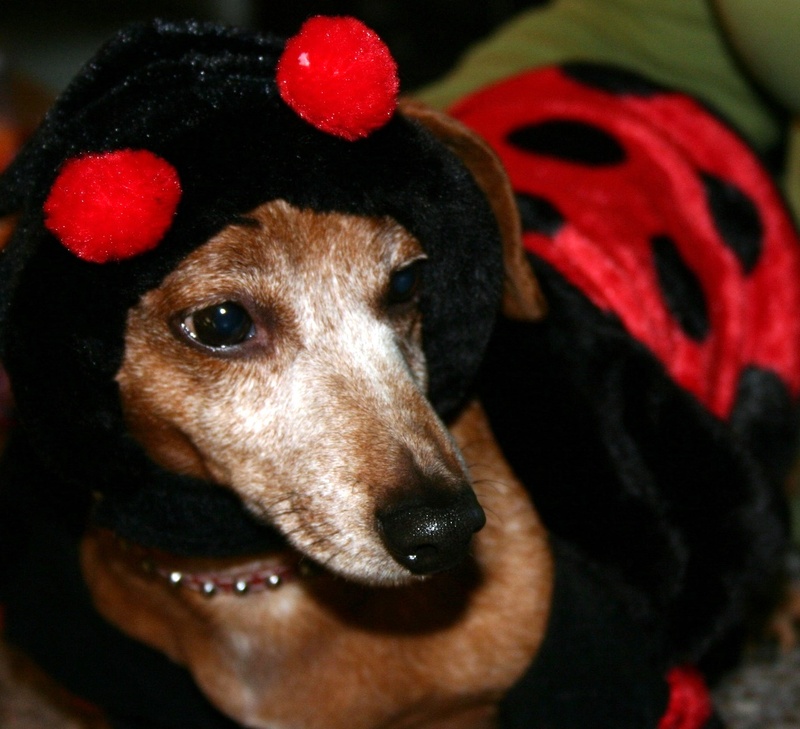 He was not thrilled about dressing up as a ladybug, even after I explained that ladybugs could, in fact, be boys. How much cuter can it get? That profile. The majestic set of his shoulders. 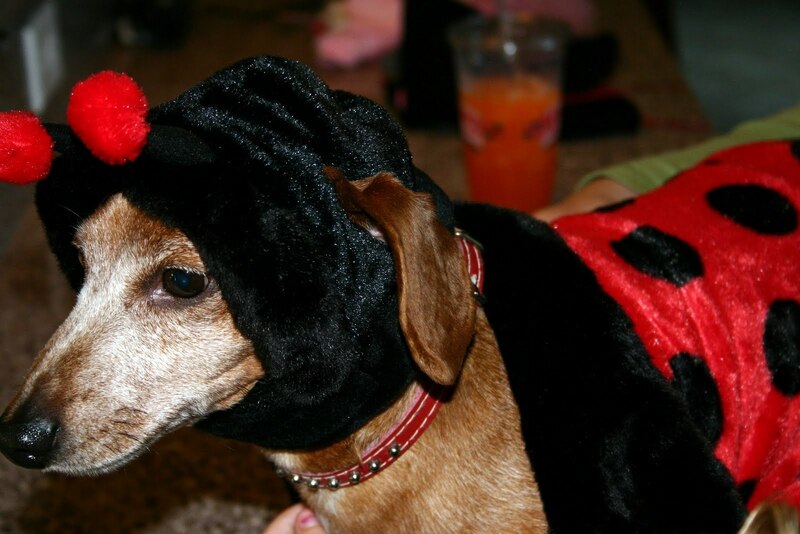 He owns that ladybug costume, baby. And he somehow still manages to stay humble. We can all learn a lesson from Lowder-dog. Sometimes your everyday persona is just as fabulous as any costume you could possibly wear. Happy Halloweiner from my pack of craziness to yours!